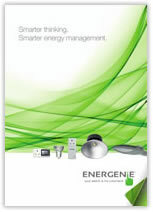 At Energenie our mission is to make our customers' lives easier whilst reducing their carbon footprint. Energenie provides energy-saving solutions to businesses and consumers looking to reduce their carbon footprint and save money. Our energy-saving solutions include energy monitoring systems, power management systems, standby saving solutions and LED retrofit bulbs, bulkheads, panels and tubes. MiHome, our market-leading range of Alexa and Google Home compatible smart home solutions, offers customers a whole home automated smart solution including smart heating, smart lighting, smart sensors and monitors and smart sockets. MiHome can be remotely managed using timers, triggers and geofencing via the free MiHome app and voice command using Amazon Alexa. 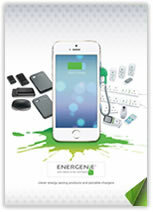 View our full range of smart home products on our build your smart home page. The launch of our smart home installation service in the UK with fixed price installation offered, also means customers can book a MiHome professional to install it for them for added convenience. We are working with a growing number of heating and lighting installers in the UK purchasing MiHome to install in customer’s homes to meet the high demand for smart home installation. We are always looking for distributors, wholesalers and retailers to stock our range of innovative products. Our product ranges are suitable for use in all parts of the world, so distributors from outside the UK are also sought.